Hi, guys! I'll start off by thanking Christina for having me on Tomes and Tequila. I’m proud to say that we were both raised in the Rogue Valley (southern Oregon) together, children of the 80’s and 90’s. We eventually outgrew our bad hair and embarrassing pants, and into the super classy book lovers we are today. 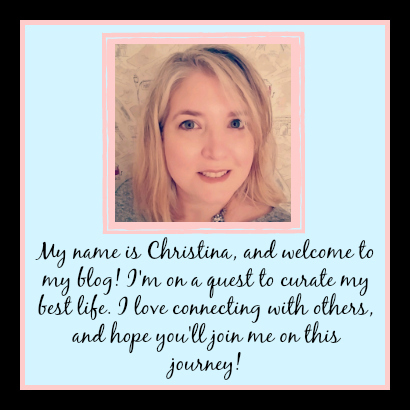 I’m so honored that she asked me to write a guest post! My name is Kaylie Newell, and I write contemporary/paranormal/romantic suspense. I love watching movies, reading, writing, walking our dog, hanging out with my family, drinking wine with my best friend- basically I’m pretty average. Except for one thing that sets me apart a bit, as well as annoys my husband to no end… I’m officially off my nut about Christmas. Since it’s coming up, and since I also have a Christmas book releasing soon, I thought I’d elaborate a little. I’ve been this way since dirt (see picture. Remember the bad hair and embarrassing pants?). I’m not just crazy for the holiday itself, but for everything leading up to the holiday. I’m one of those people who start playing Christmas music November 1st. I like to have It’s a Wonderful Life on in the background at all times. I binge watch Hallmark Christmas movies until my children are able to quote them backwards and forwards. I make really bad sugar cookies and keep mints on the counter throughout the entire month of December. I drape the living room in blinking lights, and delight in setting up our cheesy cat nativity scene in the kitchen for all to enjoy. You get the picture. How did this happen? I’m not entirely sure. It’s not that every Christmas growing up was perfect. Far from it. There was the year my mom dressed me up to see Santa, and on the way I stepped out onto the frozen duck pond, full of frozen duck poop mind you, to see if the ice would hold me. It didn’t. And the Christmas when the pipes broke and our living room flooded, along with all our presents. The horror! But no matter what fate threw at me as a small child, if it was over the holidays, it was okay, because holidays. I guess that’s what people mean by the magic of the season. Everything just seems right with the world when Christmas is around the corner. The cookies taste better, the movies are more fulfilling, and the family time is more precious. If you love Christmas as much as I do, leave a comment and I’ll pick a few random winners to receive my new romance Christmas at The Graff, coming November 1st. Happy reading! Jemma Banks is finally ready to celebrate and enjoy the Christmas season in a way she never did as a child. But when her father breaks his pelvis, she returns home to Marietta to care for him. He is desperate to make amends with Jemma, but she's determined to leave Marietta with her heart intact, even if it means being compared to Scrooge. Physical therapist and snowboarder EJ Corpa can't ignore the pull when he lays eyes on his patient's daughter for the first time. Jemma is beautiful, but guarded. Deep down, EJ knows she’s a woman who’s longing for a little fun. When she agrees to help with his clinic’s tree for the Mistletoe and Montana auction, the armor she’s so carefully constructed begins to fall away, and the magic of the holiday season takes hold. 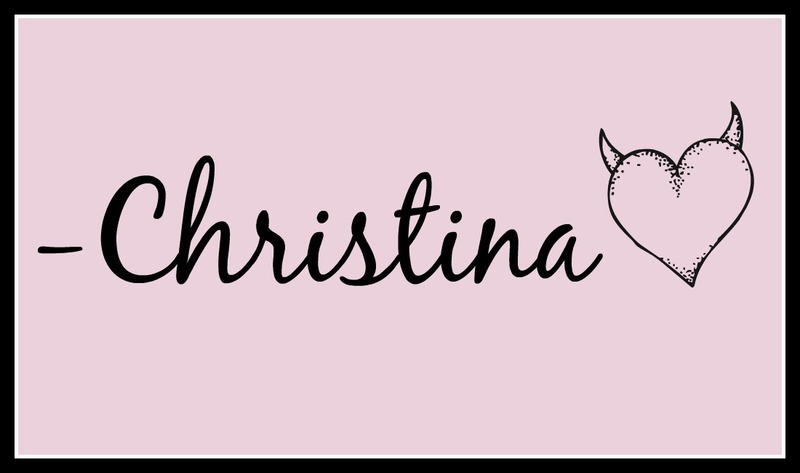 *Christina here!! If you want to read more about Kaylie, you can check out her website here or read the interview I did with her over here. And don't forget to comment for the chance to win her new book!!! I love the idea of this story! 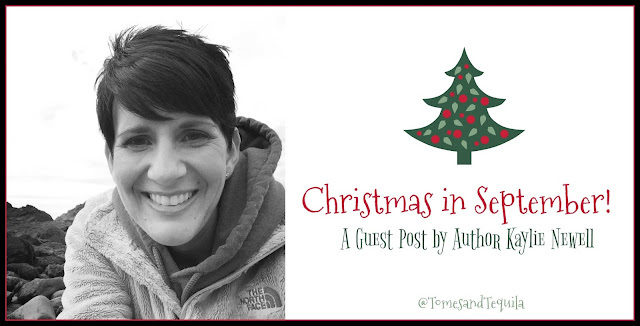 Using Christmas as a backdrop for romance sounds like so much fun. I agree!! I'm a sucker for the Christmas stories that come out this time of year. Worked great!! Your last one was here...but then I made it disappear, completely my fault. Thanks for coming back on to comment again!! I absolutely love Christmas! I have been known to sing carols in June because they make me so happy!! Animals can wreak havoc on decorations!! I think cats are worse than dogs though...but yes, I imagine 4 dogs would make it difficult!! Sounds like the perfect book to read at the beginning of holiday season! Yes!! :) I find it fun to throw in a couple Christmas themed books, to help get me in a festive type mood!